On Friday, Microsoft released its 3D Builder app, which allows Windows 8.1 users to print 3D objects, but not much else. 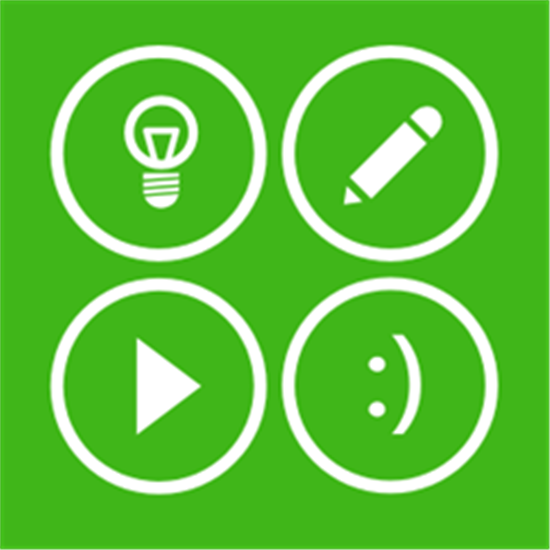 The simple, simplistic, free app from Microsoft provides a basic way to print common 3D objects, as well as to import other files from SkyDrive or elsewhere. 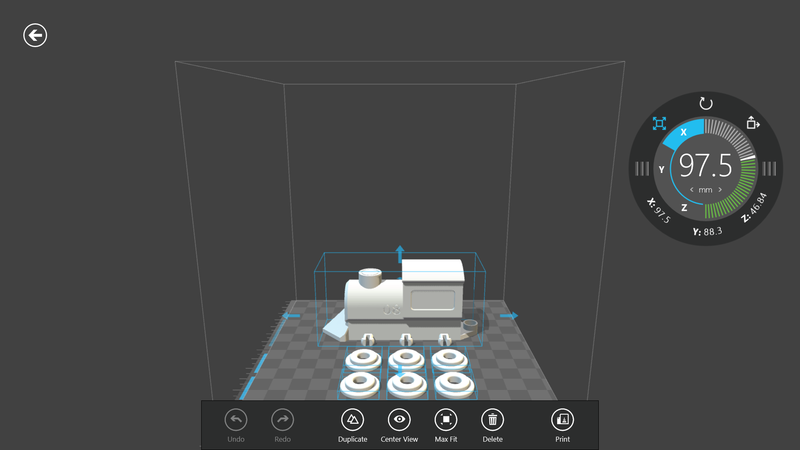 But the degree of customization that the app allows is small, so 3D Builder basically serves as an introduction to the world of 3D printing. In fact, that’s Microsoft’s intention, with demonstrations of the MakerBot Replicator 2 slated for Microsoft’s retails stores this weekend. Microsoft customers can buy a new Windows 8.1 PC, as well as the $2199 MakerBot Replicator 2, both online as well as in the brick-and-mortar stores themselves. Microsoft’s 3D Builder includes some basic modification options. Microsoft’s 3D Builder app could certainly be a part of that effort. Frankly, there’s little to the app itself besides a library of pre-selected objects, most of which seem to be built around small, unpowered model trains of the “Thomas the Tank Engine” variety. After selecting one, the user has the option of moving it around a 3D space, increasing or decreasing the size to a particular width or height—and not much else. Users can also import models made elsewhere. Again, however, 3D Builder isn’t really designed to modify the designs. It’s also not clear which 3D formats are supported. On the other hand, some might be turned off by the perceived complexity of 3D printing. If you have two grand to spend on a 3D printer but aren’t really sure how to use it, 3D Builder might be a good place to start. 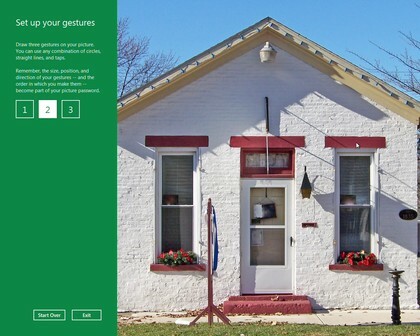 It looks like that Microsoft is about to propose the access to an operating system design to control your... home. The prototype seems to be accessible freely for non-commercial use. To simplify the management of technology and to simplify the development of applications in the home, we are developing an "operating system" for the home. HomeOS provides a centralized, holistic control of devices in the home. It provides to users intuitive controls to manage their devices. It provided to developers high-level abstractions to orchestrate the devices in the home. 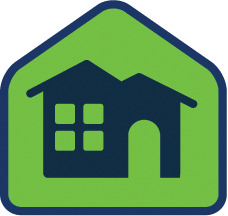 HomeOS is coupled with a HomeStore through which users can easily add obtain applications that are compatible with devices in their homes and obtain any additional devices that are needed to enable desired applications. 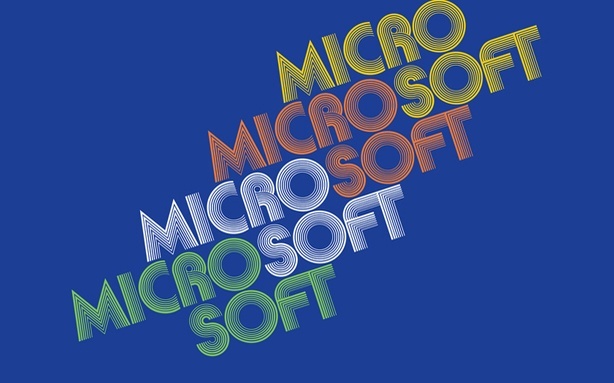 While Apple and Google are busy getting bad press for their privacy issues, labor practices and general big-evil-company wrongdoings, Microsoft has done some brand regeneration, making it look like the hippest tech company on the block these days. As Apple and Google captured a younger, cooler demographic, the Windows maker, with its stodgy business oriented PC-compatible operating system and notoriously annoying browser, became synonymous with lameness. Remember all those highly effective Mac versus PC commercials? That PC dork (writer-performer John Hodgman) represented all things Microsoft: Slow, uptight, badly dressed. But as Apple and Google have grown up, they've lost their hip sheen. And, Microsoft's taking advantage. In this era of awesomely bad, it doesn't look so lame anymore -- especially in comparison to the other guys. 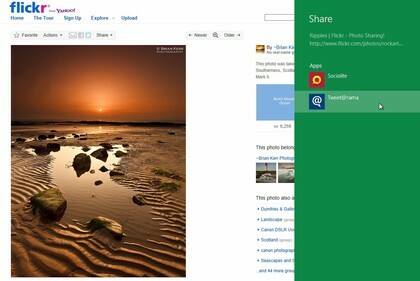 But this image comeback isn't limited to IE. Over the last few days we've seen Hotmail ads running on Boing Boing and Jezebel, two blogs that are hip for different reasons. Boing Boing catering to the hippest of Internet lovers and Jezebel reaches a more mainstream but still cool millennial audience. And in general, the overall Microsoft-related press has been kind of good. 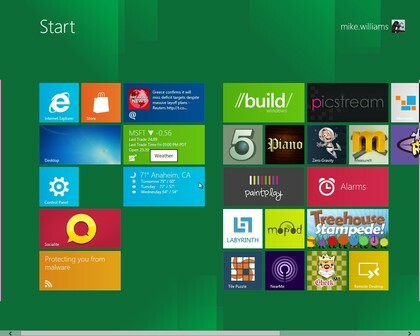 Windows 8 surprised and excited the tech blogger world, something a Windows browser hasn't done since Windows 95. The company has some other exciting things going on inside its labs. The other day, It did some Internet good with its Digital Crimes Unit. And, has even designed itself a decent looking logo. Apple's (maybe) new logo, on the other hand, with its rainbow mish-mash, feels dated. Which brings us to the other aspect of Microsoft's renaissance: good timing. The once-hipper than Microsoft foes, Google and Apple haven't looked so good these days. Google, the once beloved search company, has users uneasy with its Google+ integration, privacy issues and anti-trust concerns. Even Googlers aren't too sure of Google's mission, these days. Appl still produces insane-popular gadgets, but no longer wows reviewers like it once did. The new iPad is still the best tablet out there, but it's not a must-have. Plus, it too has gotten itself into its own privacy messes. It also had the misfortune of acting as the face of the last few months of Foxconn scandal. Though the Foxconn protesters that threatened mass suicide back in January made Microsoft's XBox, thanks to Mike Daisey and Apple's financial successes, Apple not Microsoft absorbed most of the bad PR. Part of this has to do with maturity, we suppose. An early bloomer, Microsoft's already went through its tech company growing pains. It used to be the evil one, remember? The one accused of monopolistic practices, of buying up the competition, of stifling innovation. But it's no longer the bully. Google and Apple's misdeeds have overshadowed the once dominant tech company, and while the other big players make public messes out of themselves, Microsoft looks to be cleaning up its image. And, we have to say, it looks good. 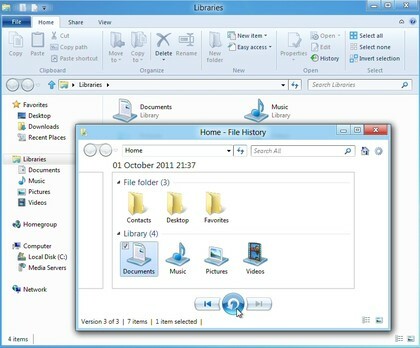 The Windows 8 Explorer now uses a ribbon-style interface, which brings many otherwise tricky to find options within very easy reach. If you want to remove metadata containing personal information in Windows 7, for instance, you must right-click the file, select Properties, choose the Details tab, and click "Remove Properties and Personal Information". 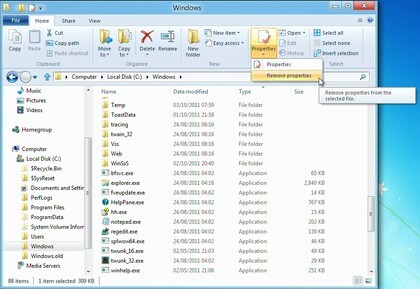 In Windows 8, all you have to do is click the file and choose Remove Properties from the Properties list: much easier. There are many similar shortcuts. But if they're not enough, then you can make any Explorer ribbon option even easier to access it by adding it to the Quick Access toolbar, which appears in the Explorer title bar. It'll then only ever be a couple of clicks away. Windows 8 includes a very easy-to-use File History feature, which can automatically back up whatever folders you like, at the frequency you specify. This could be a complete system backup to a network drive, if you like. But it could also just save key folders like Documents and Pictures to a USB flash drive, and once you've set this up there's no further configuration required. Simply plug in the drive every few days, File History will automatically detect it, and your preferred files will automatically be backed up. Internet Explorer's SmartScreen filter is a handy technology which can check downloads against a database of known malicious sites and dangerous programs, blocking the file if it finds a match. Previously this was only available within IE, but in Windows 8 SmartScreen will be used system-wide, so you'll have an extra layer of protection no matter which browser you're using. Windows 7 gained the ability to burn ISO images to disc, but if you just want to check or access their contents then Windows 8 goes one better. Just right-click the image, select Mount, and a new virtual optical drive will appear in Explorer. Double-click this to view the image contents, launch whatever programs it contains, or generally treat it just like any other disc. Once you've started a Windows file copy operation, that used to be it: you had to wait until it was finished. But not any more. The new File Copy dialog includes a tiny pause button, so if you need to do something else for a moment, just click to pause the copies, click again to resume. If your PC is in a bad way then you've always been able to reinstall Windows. But you'd have to find your Windows disc, first, and pay close attention to the installation options to make sure you choose the one you need. 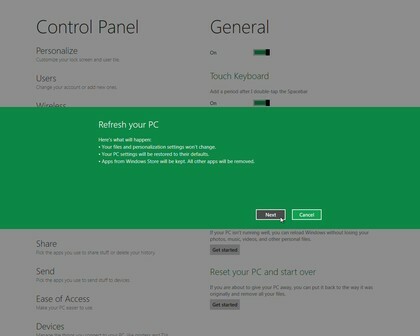 Windows 8 gets rid of all that hassle by introducing a "Refresh your PC" option (Control Panel > General). This also essentially reinstalls Windows, but there's no disc required, no complex options to consider, not even very long to wait: we've used it two or three times and it's quickly repaired any glitches we encountered. 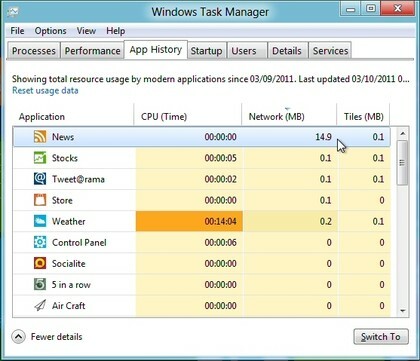 If, despite all of this, you still feel that Windows 7 has some advantages - then that may not be a problem. Because Windows 8 now includes Microsoft's Client Hyper-V virtualisation platform, which allows you to install other operating systems onto virtual machines and run them on your desktop. You will need to be running 64-bit Windows, however, and have a CPU which supports Second Level Address Translation (that's Intel's Core i3, i5 and i7 and AMD's Barcelona processors). But if your system qualifies then you'll find this is a far better and more powerful solution than Microsoft's Virtual PC, or Windows 7's XP Mode, and should be ideal for running most legacy applications on your Windows 8 system.